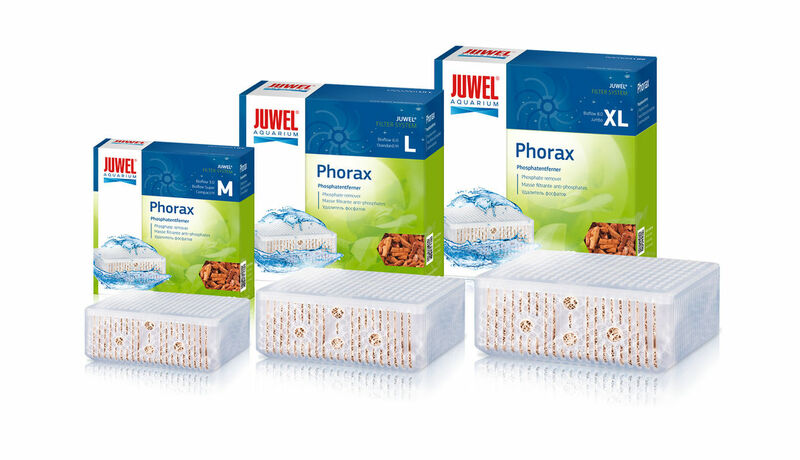 JUWEL Phorax is a highly effective filter medium used to break down phosphates in your aquarium. 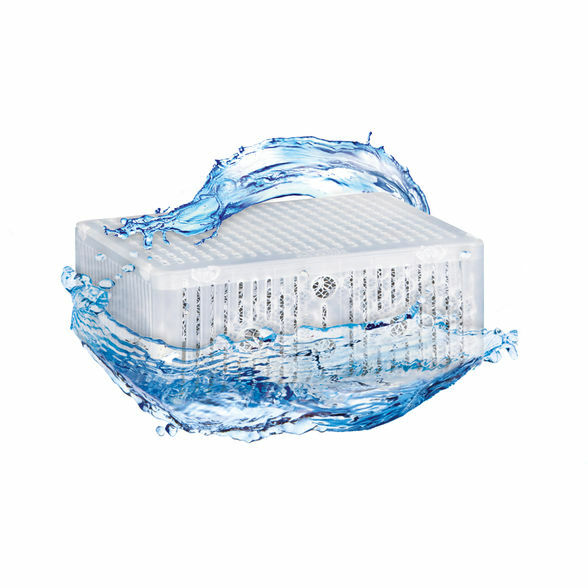 This effectively reduces the growth of algae and can contribute to improved plant growth. Phosphate regularly gets into aquariums through fish food and are naturally very unlikely to be broken down. However, plants need only tiny quantities of phosphate for their natural growth (fresh water: 0.05 mg/l, saltwater 0.01 mg/l). Too much phosphate can, in some cases, trigger prolific algae growth. Phorax consists of an aluminium mineral which binds dissolved phosphate by creating a water-insoluble aluminium phosphate and removing it from the water. This makes JUWEL Phorax highly effective, binding up to 12 mg of phosphate per gram of Phorax.